Ringtones are a great way to customize your phone’s call and text notifications, but the selection of ringtones available on app stores can be limiting. If you want to know how to transfer an iOS 12/11/10 iPhone notification ringtone or iPhone call ringtone that you have on your computer to your iPhone, look no further than this handy guide. Method 1: How to Transfer Ringtones from Computer to iPhone iOS 12/11/10 with iTunes? Method 2: How to Transfer Ringtones from Computer to iPhone iOS 12/11/10 without iTunes? Extension: How to Customize iPhone iOS 12/11/10 Ringtones with iTunes Alternative? Method 1: How to Transfer Ringtones from Computer to iPhone with iTunes? If you are using old version of iTunes, you can transfer ringtones from computer to iPhone with iTunes. Follow steps below. iTunes has limitations, and iTunes after version 12.7 has Tones tab hidden, which makes it more difficult to manage ringtones with iTunes than before. If you have updated iTunes to the latest version, steps above are not feasible. You need to get around of iTunes. Method 2: How to Transfer Ringtones from Computer to iPhone without iTunes? 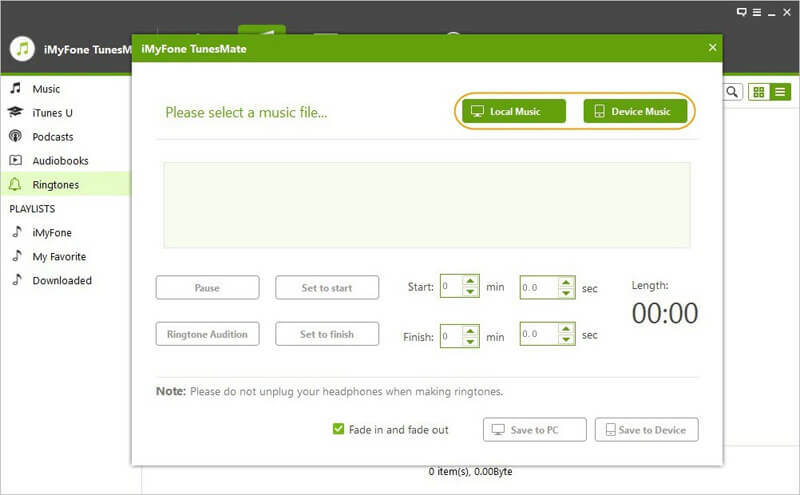 iMyFone TunesMate is the best iTunes alternative, designed to transfer iPhone data including music, ringtones, videos, Audiobooks, Popcasts, etc. to iTunes or computer. 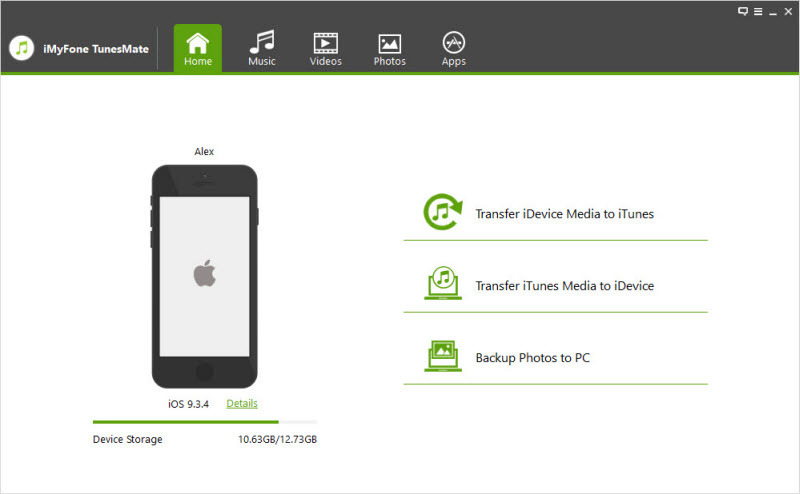 It can get rid of all kinds of iTunes limitations and errors. 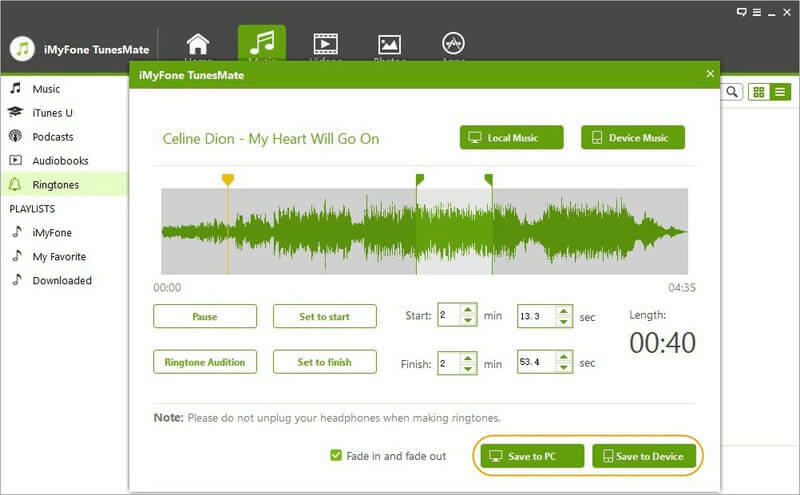 At the same time, it can act as a ringtone maker for making ringtone of your own from your favorite music. Easy two-way transfer which lets you transfer your ringtone files from your iTunes/computer to your iPhone, or from iPhone to iTunes/computer. Transfer your ringtone files from your computer to your iPhone without needing to access the iTunes library. Ability to transfer purchased ringtones or ringtone files you've created yourself from your computer. Free built-in converter software to convert incompatible audio files into ringtones before they're transferred to your phone. Turn any song from your device or computer into ringtone. Preview ringtone before saving it into your device or computer. 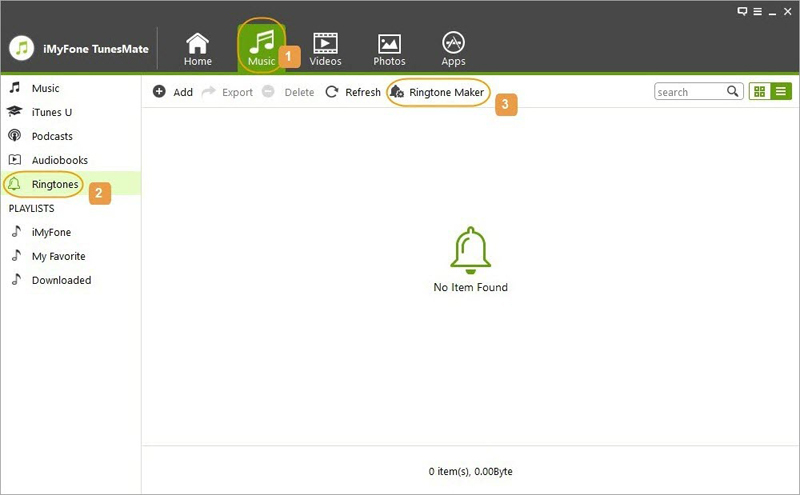 Download and install TunesMate to your computer. Connect your iPhone to your PC. Launch TunesMate and click the “Music” tab. Then go to "Ringtones" category. Hit “Add > Add File” and locate your ringtones on computer. Click “Open,” and now the ringtones should be transferred to your iPhone. 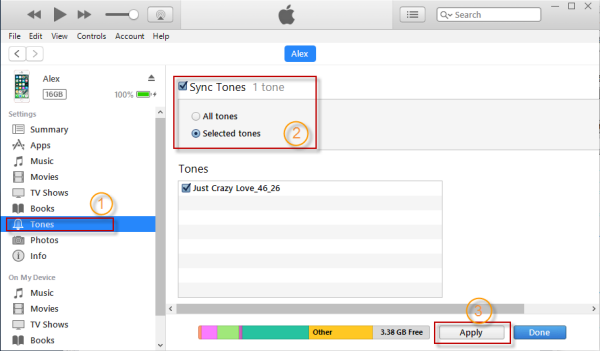 Extension: How to Customize iPhone Ringtones with iTunes Alternative? As is mentioned early, iMyFone TunesMate can be used to make iPhone ringtones. Here we will show you how to customize iPhone ringtones with this iTunes alternative. Step 1Launch iMyFone TunesMate software on your computer, and then connect your iPhone to the computer using a USB cable. Step 2Go to "Music" section at the top, select "Ringtones" from the left side bar, and click "Ringtone Maker" at the sub-menu bar. Step 3Select the file from your computer or your device that you want to use to create a ringtone, and then choose the start and end points of your ringtone as it plays. 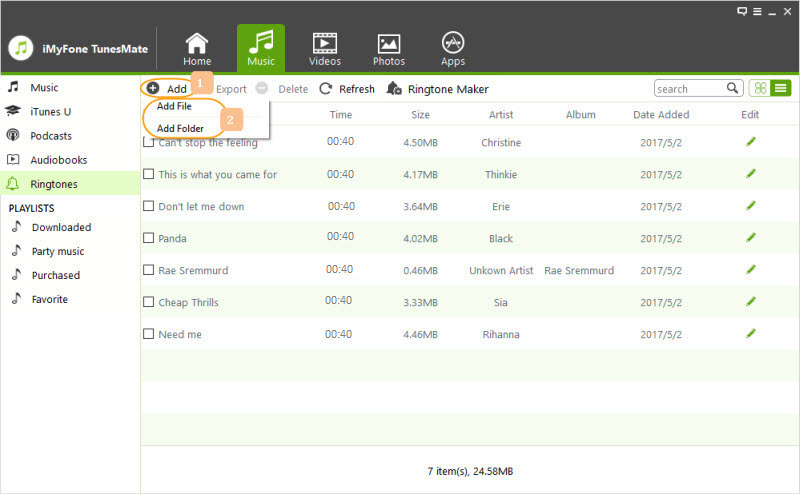 Step 4Preview your ringtone and when you're satisfied, choose either Save to PC or Save to Device. Once you Save to Device, your ringtone will be transferred to your iPhone.